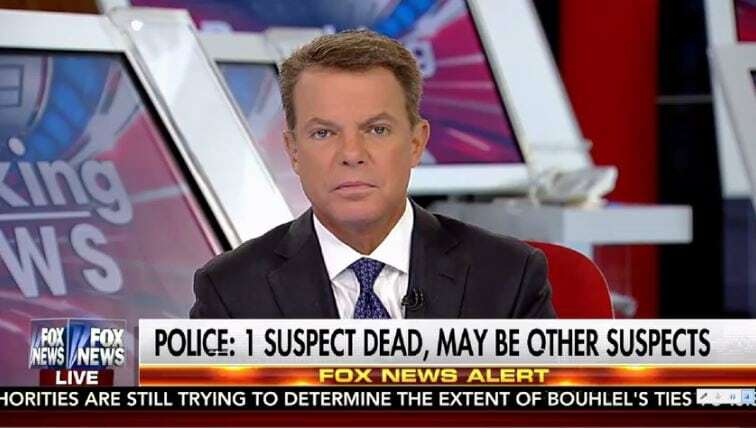 On Sunday, Fox News’ Shepard Smith slammed former Louisiana Gov. Bobby Jindal, who had the temerity to say that “all lives matter.” Twitter responded by demanding Smith be fired. Fox also caught flak on its Facebook page. “Smith needs to shut the hell up. All lives do matter and he treated the Governor disgustingly….why you keep him on the air is beyond me…I will no longer watch him or Megan Kelly;;;have you noticed how you are losing viewers? Do you give a damn?” one person posted. “And Shep Smith made a total fool of himself with his replies to Bobby Jindal. He should be fired,” another person said. Our thoughts and prayers are with our law enforcement community after today's horrible shootings. All lives matter, plain and simple.